There was a time when other manufacturing companies strayed away from the norm of creating 4-stroke outboard engines to experiment with alternative 2-stroke technologies. The reason for this is simple – to meet clean air standards. While the act of trying to help the environment by manufacturing 2-stroke engines is commendable, the same feat can also be achieved with 4-stroke outboard motors through innovation. 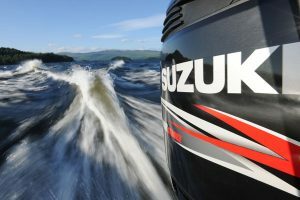 As other companies were rapidly manufacturing 2-stroke outboard engines, Suzuki stayed on their lane and kept on doing what they do best – creating powerful 4-strokes for every American boater. Because of what happened during the entire 2-stroke technology craze, Suzuki managed to stay ahead of its competitors in the outboard marine engine industry, and the brand never looked back. No other company in the entire world can match the experience and technology of Suzuki when it comes to designing and manufacturing 4-stroke engines. In fact, Suzuki is considered as the leading brand in 4-stroke technologies in the global marine, motorcycle, and automobile markets. All of these were made possible because of their decision to stick to what they do best and not get distracted by the whole 2-stroke technology craze. Today’s boat owners are truly blessed to have Suzuki outboard engines as one of their main options to power their watercraft. The company is currently in possession of the largest all-4-stroke lineup in the entire marine industry, something which other brands could only ever dream of achieving. Also, the experience and technology of Suzuki enabled them to create marine engines that are as environmentally friendly as 2-stroke engines. In fact, 4-stroke outboard motors are considered by many as the cleanest, most eco-friendly boating option. With a Suzuki 4-stroke outboard engine, any American boater can freely and quickly navigate the open waters without worrying about stuff like engine failures and poor performances from happening. Of course the responsibility of cleaning and maintaining the outboard marine engine lies with the boat owner, but there’s no denying that Suzuki outboards are less prone to having troubles and errors due to the cutting-edge technology and advanced features that are packed in each engine. Suzuki outboard marine engines today are known for being quiet, powerful, and fuel efficient, with more than 20 excellent models currently in their arsenal. They may have already attained the status as the best when it comes to 4-stroke technologies, but that doesn’t mean that they will stop innovating. After all, they have been doing that for many years now, so you can expect that Suzuki will release better engines in the future.